To those of who are wondering, yes, I am safe and sound considering what has recently happened in neighboring Uganda. I am currently with the HIAS Delegation from New York and we are supposed to travel to Kampala on Thursday, though this is still to be determined. 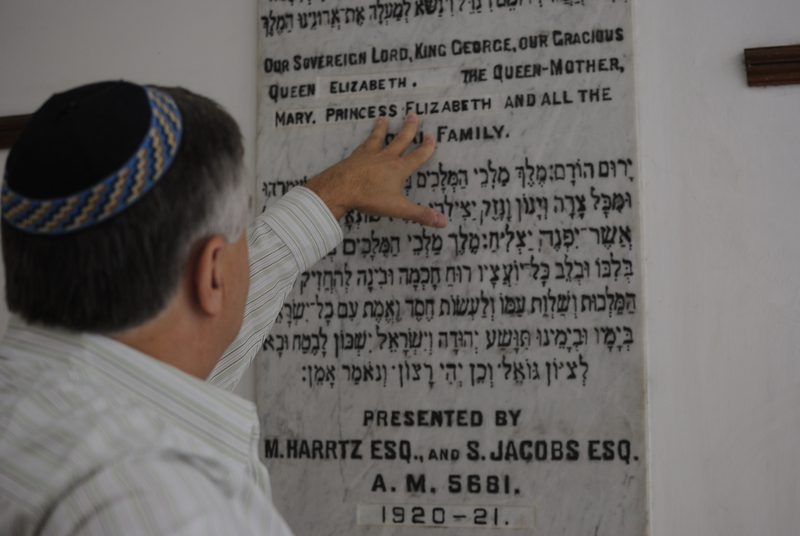 In other news, today I would like to share with you some photographs of the Nairobi Synagogue, and highlight the Szlapak Family, one of the oldest Jewish families in Kenya (and owner of the beautiful Fairview Hotel here in Nairobi-http://www.fairviewkenya.com/). 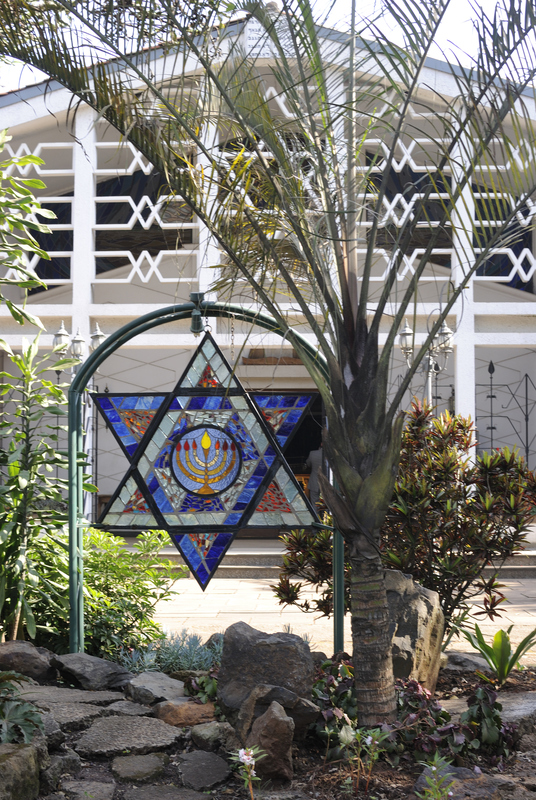 The Jewish community in Kenya was established in 1904, and the community is a microcosm of the Jewish Diaspora. Some of the members are newcomers living temporarily in Kenya, while others have lived here for many years. The synagogue grounds are magnificent with lush gardens and a Communal Hall for social and cultural events. It is also the only place to buy kosher meat in Nairobi. 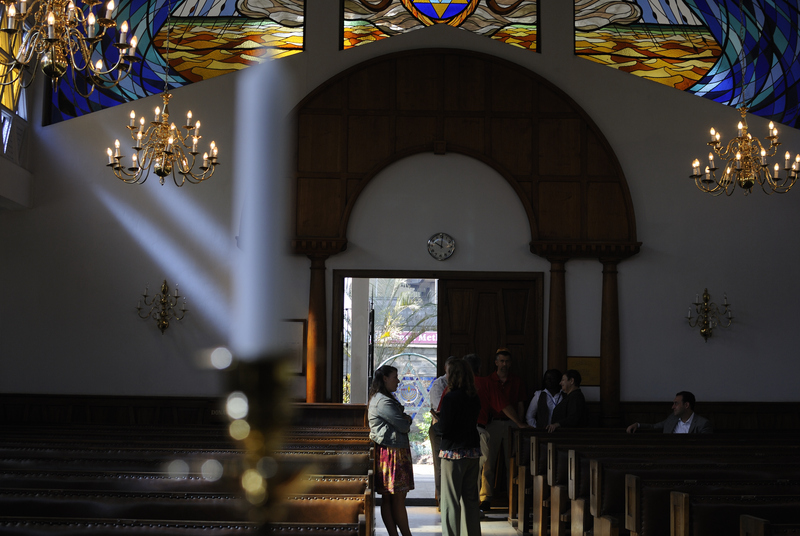 The Nairobi Hebrew Congregation numbers have gone up and down, and is currently quite low. 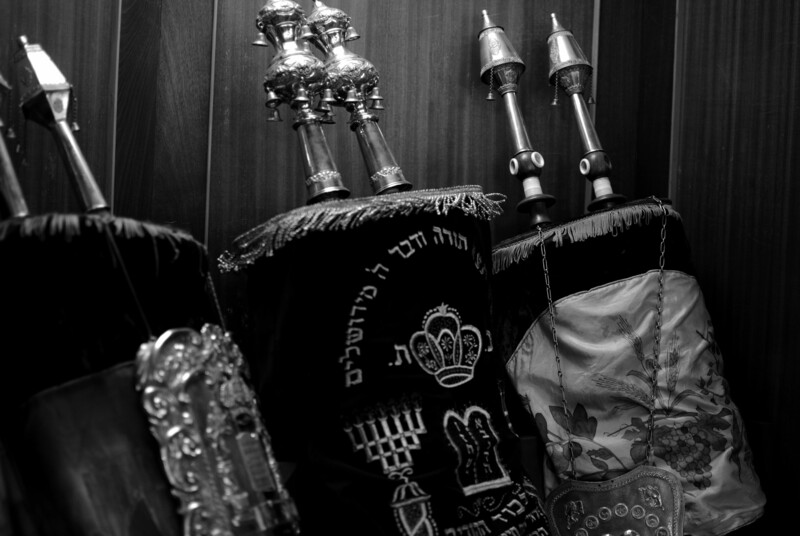 I am impressed how a few members of the community continue to come every Shabbat just to make sure there is a minyan and to keep the Synagogue alive. There has not been an active Rabbi since 1987, though I was lucky enough this past Shabbat to meet the last acting Rabbi Ze’ev Amit, active from 1983-1987. 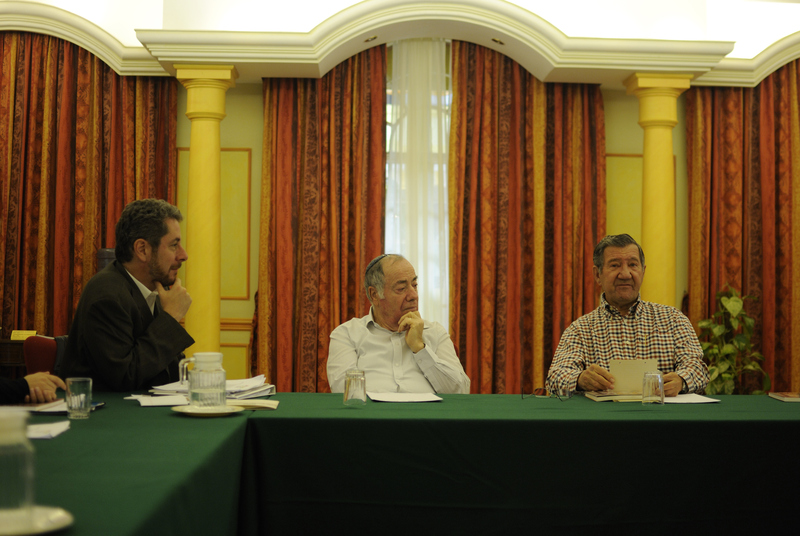 The picture below is of Rabbi Ze’ev Amit and Charles Szlapak meeting with our delegation on Monday, July 12th. The Szlapak family arrived in Kenya from Poland in 1938 and has been here ever since. 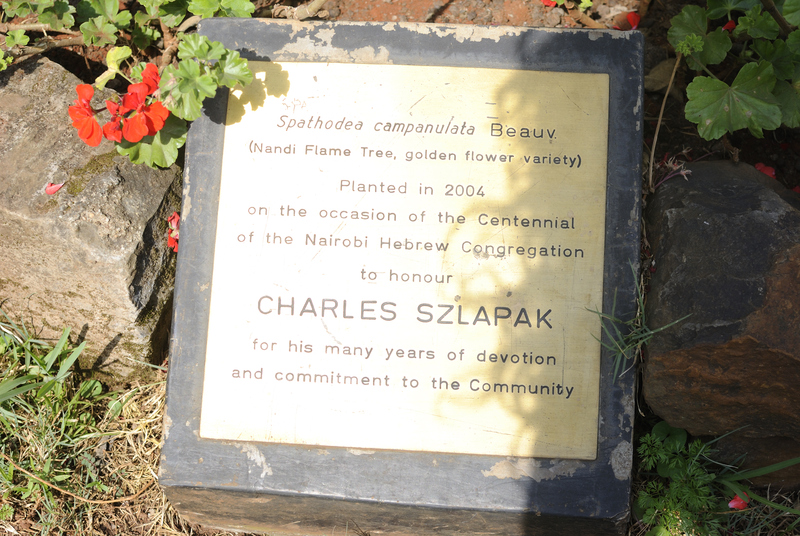 For a dozen years, Charles was Rosh Kehila, the name given to the Nairobi Congregation’s president. Early this morning, Tuesday July 13th, Charles’s son, Aitan Szlapak, gives the HIAS delegation a tour of the Synagogue. As you can see, there was a strong British colonial influence on the early days of the Nairobi Hebrew Congregation. Again, I truly commend and personally thank the members of this congregation who keep the synagogue alive and allow me the honor to pray there every Shabbat. If you find yourself in Nairobi, please do make sure you plan a visit. Their website has not been updated in quite sometime, so I hope to help the congregation build a new website throughout my stay here in Nairobi and will be in touch with the updated details. So interesting!!! Miss you and be safe. my name is idit friedman. i was visiting kenya and staying in nirobi fairview hotel for few months during the year 1996. i came from jerusalem and got to know a great woman called mama szlapak. we got to be friend eaven though i was only 25 y.o and she was allready an old amazing woman. she used to invite me to her balcony and we used to talk about her past and jewish life. she asked me to cook for her the “gefilte-fish” on hollidays….. and i visited nayrob i Synagogue as well. i remember that visit for years, wondering how is mama szlapak. please send me some information about my old friend. thnks. idit. 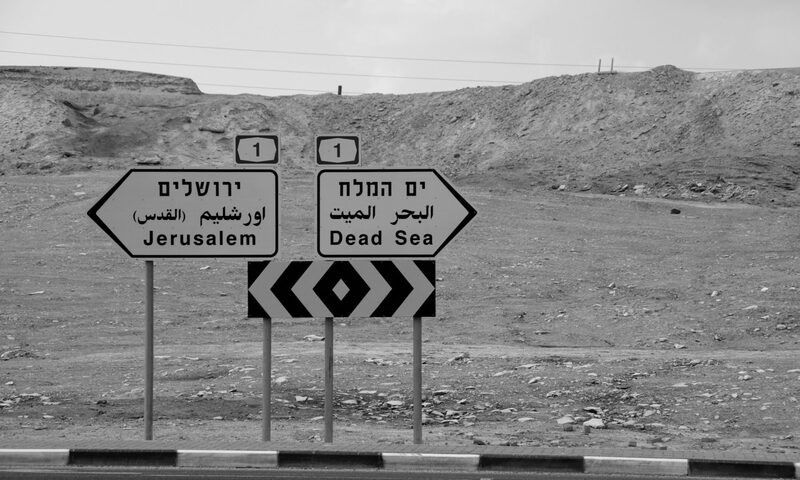 Do you teach Hebrew? I would really like to learn the language. Hallo,i live in Nairobi and would really like to join NHC,any assistances is highly appreciated.Regards Samwel. you mentioned that I lived in Nairobi Kenya for a year and a half from Dec. 1989 – June 1991. The Rabbi who was there at that time and left in May 1991 was Rabbi Moshe Charles. Hello, I enjoyed our photos. 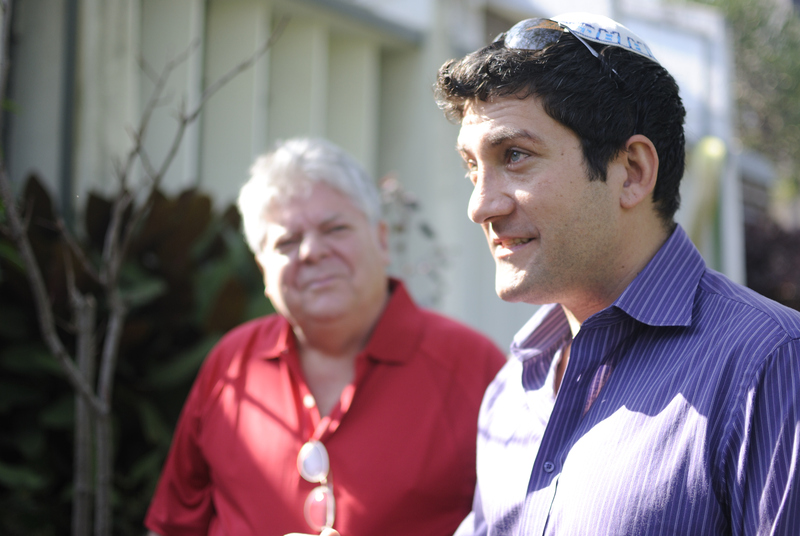 You mentioned that there was no acting Rabbi Since Zev Amit in 87. I lived in Nairobi from Dec. 89 – June 91 and the acting Rabbi for most of that time was Rabbi Moshe Charles. Previous PostPrevious Karibu to Kenya, Part Duex.